Hm, that’s not the full constellation though – just the main part and the most recognisable. 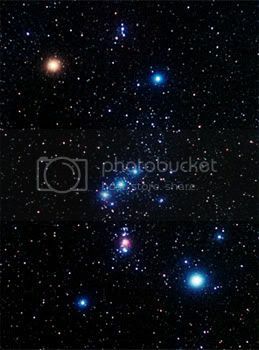 The three stars in Orion’s belt are super easy to spot in tropical skies. I don’t recall seeing it much in Edinburgh. Then again, I didn’t exactly feel like standing out in the cold to look for stars. And when it wasn’t that cold, well, that was when the sun set at midnight or later and rose before 5AM, which cuts into any star-gazing activities.